The second Oneota School, a three-story Romanesque Revival-style building constructed of red brick, featured a tall square tower and a smaller round tower, both topped with iron finials. The school had six classrooms when it opened for students on November 26, 1888. 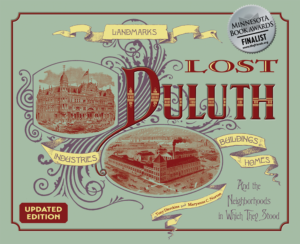 Built by the newly incorporated Village of West Duluth, it became part of the Duluth School District when West Duluth merged with Duluth in 1894. Just as the Oneota Village Council had done with the first Oneota School, the West Duluth Village Council met in the second Oneota School until it became part of Duluth. In 1901 a seventh classroom was added to better fit the school’s 159 students. It closed in 1946 and was used by the school district for storage until 1973 when it was demolished to make room for an industrial park.